TORONTO, Feb. 6, 2018 – Canadian accounting and finance professionals in senior roles as corporate accountants should realize that the top finance role, chief financial officer, is no longer solely based on financial expertise. 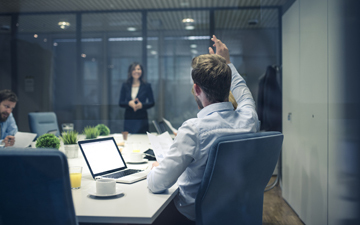 According to a report by the Rotman School of Management and executive search firm Odgers Berndtson, the CFO role is increasingly multi-faceted and more similar to that of business development executives or entrepreneurial CEOs than budget or control-oriented individuals. That is not to say that an accounting designation has lost it value. In fact, the opposite is true, as the number of CFOs with graduate degrees at Canadian companies is in decline. In 2004, 32 per cent of CFOs had a master’s degree, versus 24 per cent in 2014. It appears that the Chartered Professional Accountant designation has gained ground at the expense of the MBA. In 2004, 60 per cent of all CFOs were CPAs. That number has risen to 70 per cent. But four out of 10 CFOs reported spending most of their time on strategy, transformations or another non-finance area, with strategic leadership accounting for 46 per cent of their time. Cooper actually wishes he had extended his role externally, beyond the finance function, sooner. Cooper addressed industry and finance groups and participated in a number of panel discussions on cybersecurity and transformation. He wishes he’d done even more. “The Canadian marketplace can feel large but it’s actually quite small. It’s the same players. Once you meet these folks they introduce you to others and you develop a network.” That network, says Cooper, can bring solutions to challenges in your business, just as you can bring solutions to theirs. And what of the legendary introversion of professional accountants, the aversion to public speaking and persuasion. Cooper has good news. When junior finance employees express interest in business development positions but doubt their presentation skills, he asks them how they spend a typical day. “What you hear is presentation, presentation, presentation,” says Cooper. “You spend your whole career [as a CPA] presenting, taking complex messages and making them precise. Taking challenging situations and finding ways to be a catalyst. It’s no different than when you’re in front of a [sales] client. You just have to have the confidence.